Download this free guide to find out how to start teaching more intentionally right now. Data surrounds everything we do as teachers and administrators, but how do you make decisions about what data points to use and what to do with that information? 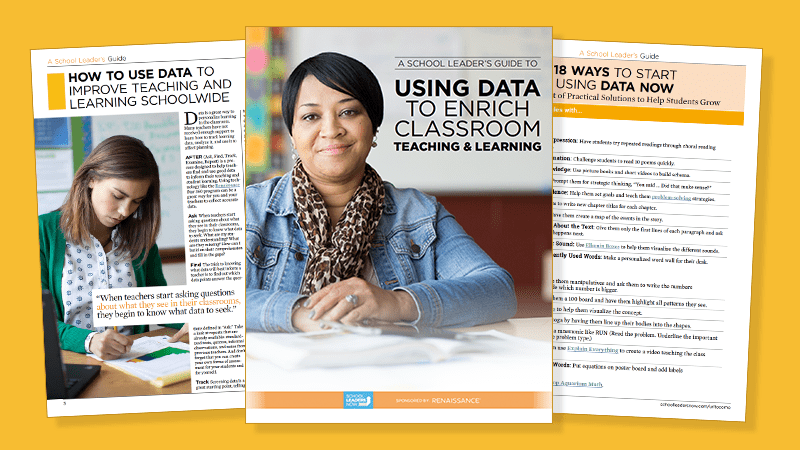 This free guide shares strategies and “right now” activities that can be implemented tomorrow by teachers using student data to drive instruction. Yes! Please send me news and offers from Renaissance Learning. QUIZ: How Much Do You Know About Betsy DeVos?